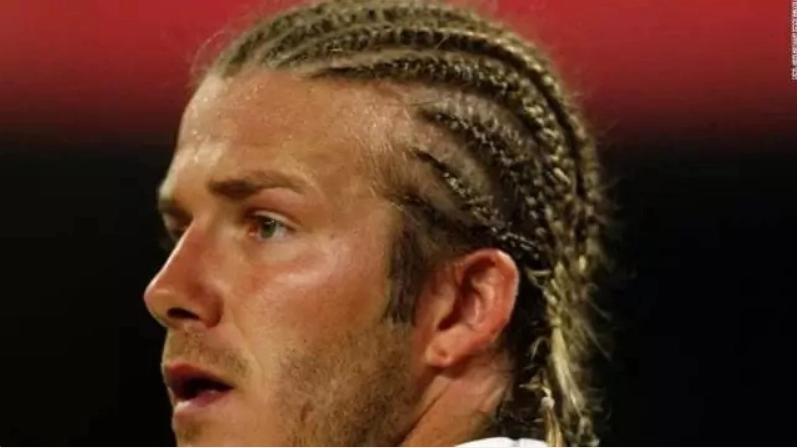 Retired English football star, David Beckham, has won the most iconic hairstyle in the history of the beautiful game for his breathtaking cornrows hairstyle in his playing days. In a global survey of 2,000 football fans (including fans from England, Germany, Spain, France, Mexico, Poland, Russia and Italy) organized by UK Sun, the Englishman won by a convincing margin. Golden Balls’ 2003 masterpiece was voted top of the table with 25% of the vote, fighting off stiff competition from Ruud Gullit’s trademark deadlocks (22% of the vote) and Ronaldo’s shaved dome (16% of the vote). At the other end of the hairstyle table, football fans identified former Nigerian international Taribo West’s green bunches in 2002 (29%) as the hairstyle they disliked the most, with Carlos Valderrama’s blonde afro (25%) and Abel Xavier’s bleached hair/beard combo (16%) making up the unfortunate bottom three. However, football players these days can often take more pride in their activity at the barbers than their activity on the pitch. Greats of yesteryear would be no doubt turning in their graves at the frivolity of the modern game, with football superstars conducting themselves like Hollywood actors or Instagram celebrities rather than professional athletes. When it comes to England supporters, fans of the Three Lions have witnessed their fair share of interesting hairstyles over the years. Along with Beckham’s cornrows, Kevin Keegan’s perm (30%), Chris Waddle’s mullet (13%) and David Seaman’s ponytail (13%) were considered England’s most iconic hairstyles of all time. Regarding England’s current superstars, England fans identified Harry Kane (34%) as the player whose hairstyle they’d most like to replicate, with Raheem Sterling (40%) being the player whose hairstyle they’d least like to replicate. Out of the hairstyles that Three Lions fans would sooner forget, an incredible 49% voted for Bobby Charlton’s comb-over ahead of Peter Beardsley’s bowl cut (13%) and David James’ bleached coils (11%) as their least favourite. Out of the current crop of captivating football cuts, Brazilian maestro Neymar’s bleached barnet (37%) and David Luiz’s magnificent coils (30%) are considered heroic favourites, while Roma’s Radja Nainggolan’s unique Mohawk (29%) and Pogba’s Batman scalp art (26%) are considered the bravest styles currently being fashioned by the crème de la crème of the footballing world. Finally, ahead of the World Cup, the survey found that fans are most likely to go for a more classical football look this summer, with an overwhelming majority (68%) expected to adopt the polished pompadour hairstyle made famous by the likes of Olivier Giroud and Sergio Ramos. 0 Response to "Revealed! 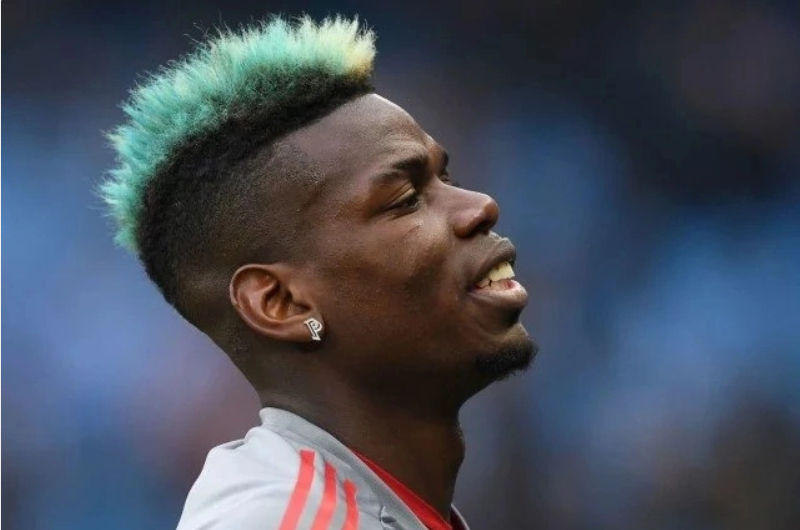 The Player With the Most Iconic Hairstyle and it’s Not Pogba (Photos)"